Tape backup is a decades-old technology that hasn’t changed much. IT managers are moving their data protection systems from tape backup into disk backup systems. 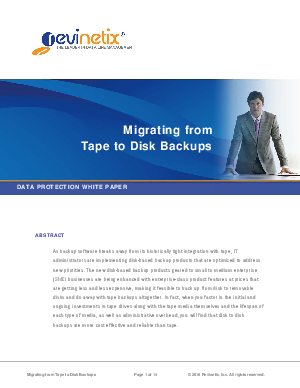 This white paper explores tape backup to disk backup migration issues, including reliability, performance, cost and implementation.